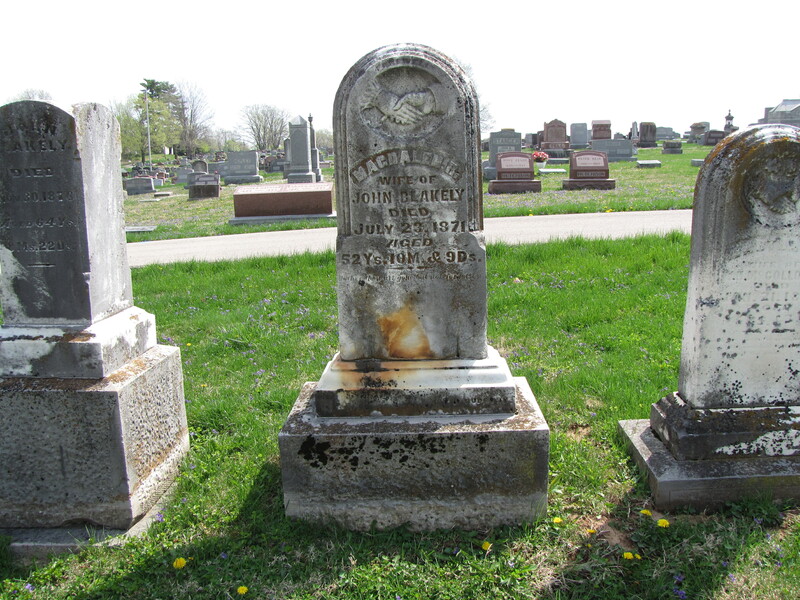 The gravestone of Magdalen Blakely at the Clear Creek Christian Church Cemetery at Bloomington, Indiana, displays one of the most common motifs found in American cemeteries—clasping hands. 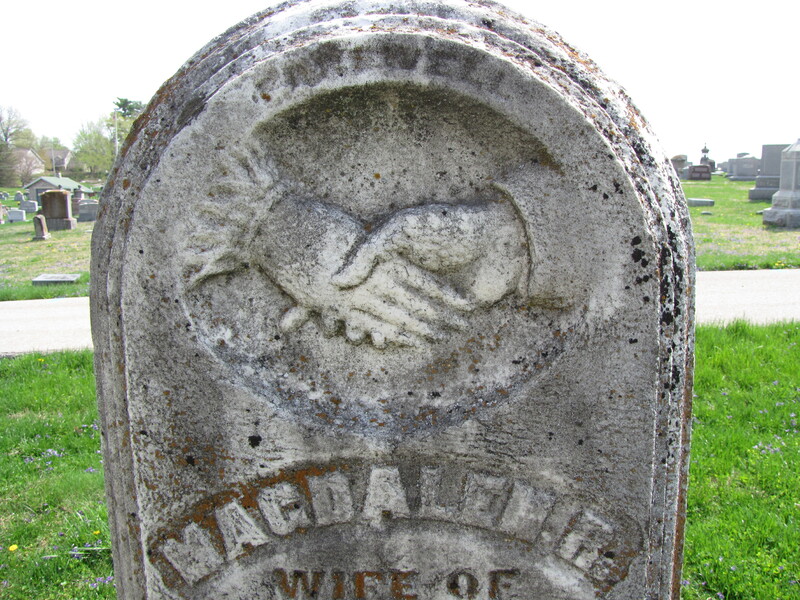 The clasping hands on this gravestone represent holy matrimony, symbolizing the holy union between a man and a woman. The hand on the left side of the motif is clearly the hand of the female, her cuff is ruffle. The hand on the right side is the male’s, with a shirt’s cuff barely visible from underneath a suit jacket. 52 Ys. 10M & 9Ds.